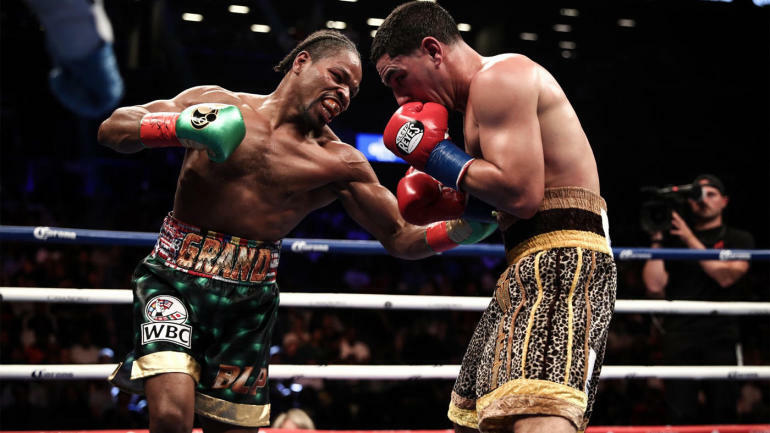 NEW YORK - Danny Garcia and Shawn Porter were predicted to put on one of the most exciting fights of 2018, and they delivered the goods on Saturday before 13,058 at Barclays Center in Brooklyn, New York, but it was Porter who adjusted and turned the tides after a slow to start to win a unanimous decision to become a two-time welterweight world champion. Judge Don Ackerman scored the fight 116-112, while judges Julie Lederman and Eric Marlinski turned in identical scores of 115-113. FightNights.com had it 114-114. With the victory, Porter set himself up for a possible unification fight with IBF titleholder Errol Spence Jr. in 2019. Spence, the undefeated and current IBF world titleholder, was ringside, and is looking to fight once more this year, but it won't be against Porter. The fight began with Garcia (34-2, 20 KO's), 30, of Philadelphia, connecting with straight jabs to the body and counter left hooks upstairs that knocked Porter off balance. In the early rounds, Porter (29-2-1, 17 KO's), 30, a relentless brawler, was trying to box Garcia, and it was not panning out. 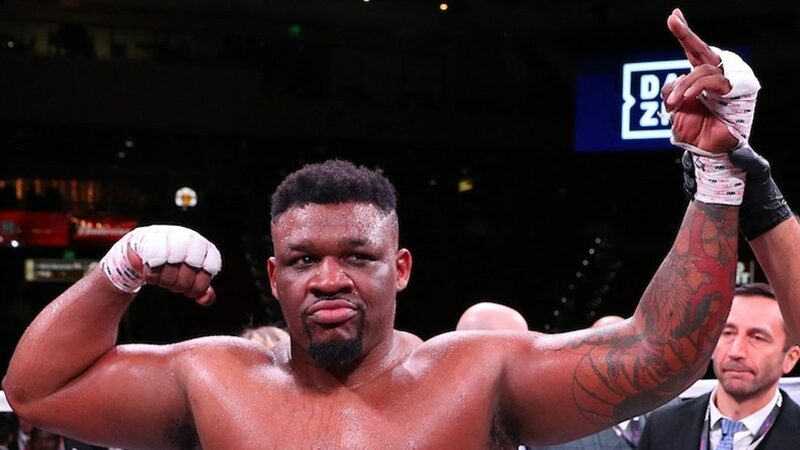 Although he was connecting with a few jabs to the body and some straight right hands, Porter was lacking the constant aggression and inside work that has made him into the fighter that he is. Garcia's punches were connecting with thudding precision, including his signature left hook. 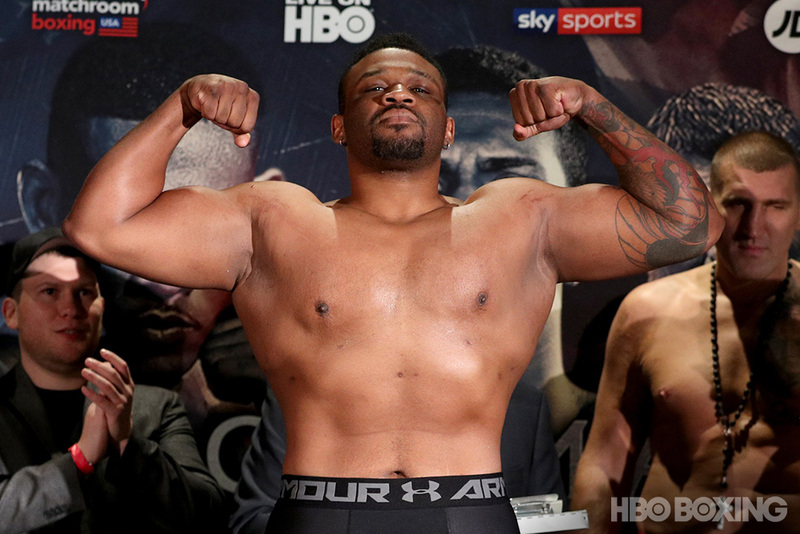 Porter, an Ohio native fighting out of Las Vegas, turned things around in the fourth round and nailed Garcia with hard body shots and a right hand upstairs. Porter's elusiveness created problems for Garcia, who could not prevent Porter from bull rushing him, but he was still finding the target when he stepped back and countered. 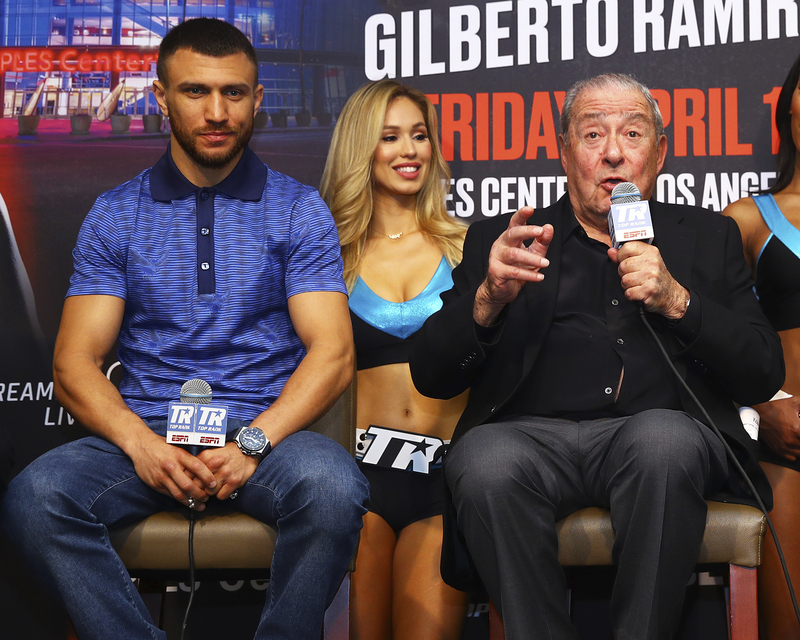 The fight began at a measured pace and when they both threw right hands at the end of the first round, Garcia's connected and Porter's missed, drawing cheers from the crowd. The action soon picked up, and they put on a very crowd-pleasing fight. Porter's balls out style has the tendency to lead to a lot of head clashes, and that is what took place in the seventh round. Referee Steve Willis issued a warning to Porter, but he had Garcia in trouble as he went on the attack with right hands over the top. 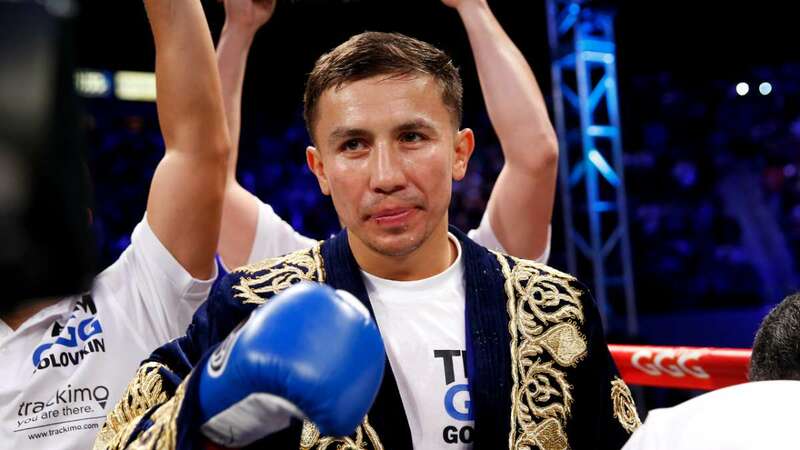 Porter, who previously held the IBF 147-pound title from 2013 to 2014 before losing it to Kell Brook, doubled down on his attack in the eighth round, firing away at Garcia's body, but Garcia also came back with some combinations of his own. Garcia boxed smart in the ninth round, landing a double hook upstairs, and kept Porter at bay with his jab, which had been practically non-existent when Porter picked up a huge head of steam. The championship rounds were razor thin, so close that many scorecards had very similar scores, but as to who had won each round, it was all over the place. The aforementioned judges who scored the bout agreed on a mere four of the 12 rounds. 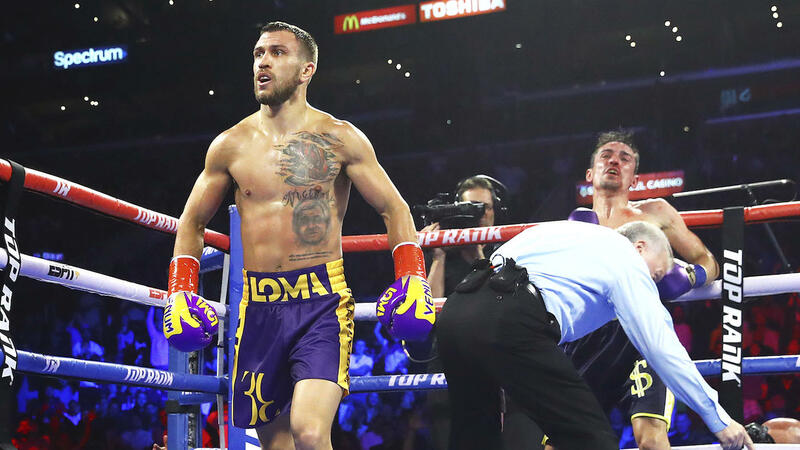 In the 10th round, both fighters came out with a sense of urgency and tried to land anything they could. According to Compubox, Garcia, who earned $1 million to Garcia's $1.2 million, landed 168 of 472 (36 percent) total punches and Porter 180 of 742 (24 percent). 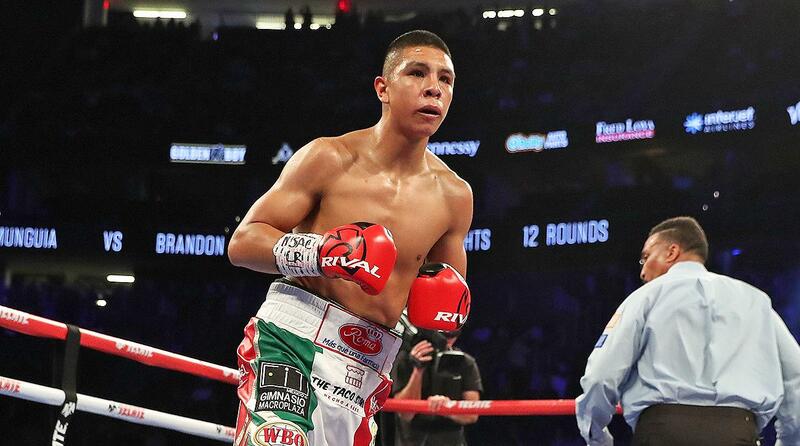 Garcia also had the advantage in power punches with 139 of 304 (46 percent). Porter connected on just 134 of 544 (25 percent). Porter continued to pour on the pressure in the 11th and appeared to have taken the round from Garcia, who responded with counter shots. In the 12th, the final 30 seconds featured both warriors going for broke as the crowd rose to their feet.